Theresa’s has over 18 years of experience in franchising and her consultancy is devoted to assisting companies design and develop their franchised business model. MSA Worldwide’s services include feasibility assessments, creation of training programs and operations manuals, design and development of franchise sales programs including marketing, advertising, and franchise sales process systems and long range strategic planning. Theresa was the Director of Franchise Sales Development for TSS Photography. Prior to TSS, Theresa was Executive VP of Development for Cianci European Eatery, a joint partnership with MFV Expositions and joined MFV Expositions as Director of Development to head up the development and launch of its sales automation software, MyBruno.com Theresa was also VP of Franchise Development for SmallBizPros, Inc., which she joined in 2002 to redevelop their franchise development programs. 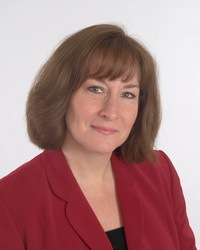 Theresa is a graduate of the International Franchise Association’s Certified Franchise Executive (CFE) program and has been a regular speaker for the IFA and Franchise Update Media group on the topics of lead generation, effective resale programs, effective franchise sales processes, the use of technology in franchising and candidate profiling. She has co-authored an article for Franchise World magazine and participated in Caliper Human Strategies study on sales excellence in Franchise Development.